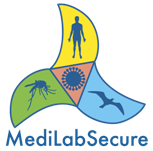 The MediLabSecure project includes the creation of a network of human virology laboratories based on the Mediterranean Regional Laboratory Network put in place during the EpiSouth plus project (2010-2013). By clicking on the Icon at the top left corner of the map, you will be able to select the Network you want to display on the Map (Human Virology for example). Untick to hide. 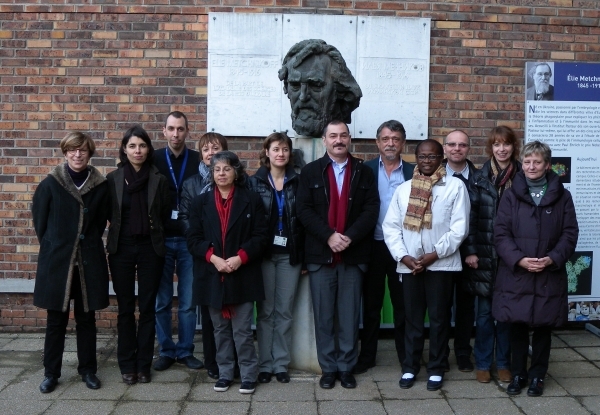 In line with the animal virology working group, the human virology working group is focusing on vector borne‐viruses and emerging respiratory viruses identified as present threats or potential risk of emergence in the Mediterranean and Black Sea regions. A training curriculum has been established based on a needs assessment questionnaire and on discussions with representatives from the laboratory network. 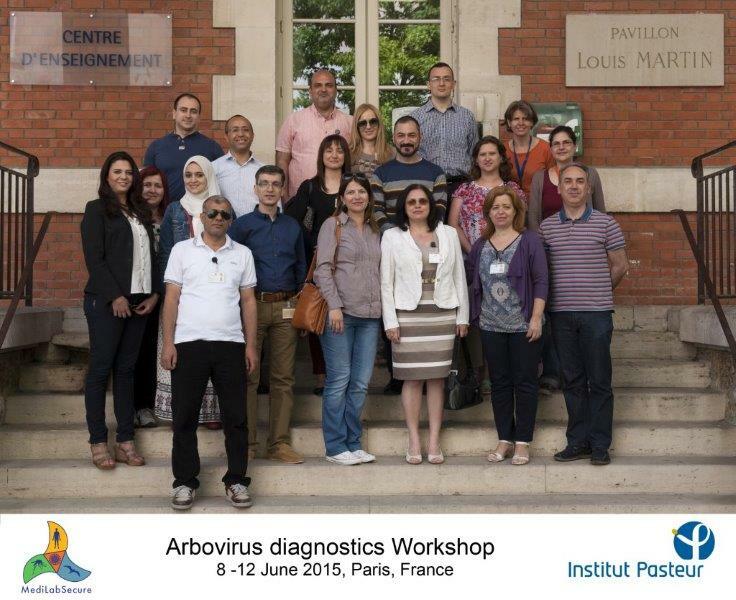 One week workshop on arbovirus diagnostics has already been organised in order to provide training regarding best laboratory procedures and techniques for the diagnostic of selected vector-borne viruses (West Nile virus, Rift Valley fever virus and Chikungunya virus). this workshop was the occasion to enhance networking among laboratories both nationally and regionally. External Quality Assessment (EQA) studies will be organised subsequently to the training in diagnostic methods in order to assess the quality of laboratory procedures applied by the participating laboratories. A training on biosafety will be organised in autumn of 2016. Due to the multidisciplinary nature of the project and network (animal, human) the biosafety modules will be approached in an interdisciplinary way. In countries with specific biosafety training requests, adapted modules will be designed with the possibility of train the trainer approach. These workshops will enable to investigate the prevalence and characteristics of the viral strains circulating in the human communities of the region.